Learn how to speak Spanish in just three days using Frequency Modulation. Super Thinking tactics help us absorb… retain and recall information better and faster. We prove this in our Super Thinking + Spanish course which teaches delegates to communicate on Spanish in just three days. We want to thank you and Gary plus all the others for making the class such a fun and rewarding experience. I took Spanish as an undergraduate and lasted two days before dropping the class due to my own anxieties. Over the years I have tried to learn French, Italian, and Spanish yet again using a variety of methods such as Rosetta Stone, Berlitz etc. and was never successful. I finally feel like I can be successful at learning to converse at Spanish–in fact already feel successful! Thanks so much for teaching an old dog some new tricks. We’re both looking forward to continuing the learning process, having fun doing so, and taking more classes. Here is our Super Thinking + Spanish schedule below. Our Super Thinking + Spanish courses are Spanish course that goes way beyond just learning to speak Spanish. 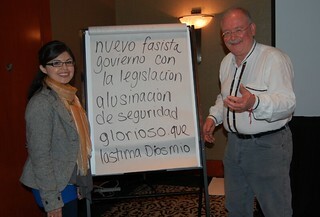 See how after just one weekend a delegate became an accidental Spanish translator. Spanish is the second largest language in the world. Chances are a huge Spanish speaking population lives near you. Yet our language system did not teach us how to communicate with or understand this culture. Learning Spanish is valuable and important. Now there is way, to enjoy a long weekend as you learn Spanish at a very affordable price. Unlock the power of your untapped knowledge. There are numerous little known, but scientifically proven ways to enhance the speed, accuracy and efficiency of your decision making process for greater wealth, health and happiness. In just three days you can gain almost amazing learning skills. Plus you become skilled in Spanish as a bonus. This is not a gimmick nor a trick. At least three best selling books, Superlearning, the Mozart Effect and Superlearning 2000 have revealed insights about how we can learn and think more powerfully based on systems drawn from the Bulgarian, Dr. Georgi Lozanov. In 1980 Superlearning sold over two million copies and showed how the Lozanov learning system blended long-tested sciences of yoga with contemporary physiology and psychology so people could learn faster and better. This book exposed this fact and made the system so popular that Dr. Lozanov was allowed to visit the US from Bulgaria to teach this system to just a very few people so they could pass on this vital information on how to learn and think in a more natural, powerful way so we can enjoy life and enhanced memory more. Merri was among those few who learned how and is licensed to teach the Lozanov system from this Bulgarian master. She has organized a practical course on how to learn faster and better. With her modified system, you will learn how to think and learn more powerfully in just three days. To prove how good you will be with this process, you learn Spanish as a side benefit. The learning system you gain expands on Dr. Lozanov’s original work and offers new insights into tapping human potential, drawing from ancient and modern tactics for quick learning such as subliminal memory, music, nutrition, and productivity. There are three scientific reasons why this course will change your learning capacity forever (and help you speak Spanish in just four days). This system uses music to integrate brain waves so the process of absorbing, processing and recalling information is vastly accelerated. This brings forth the three C’s: Calm, Clarity and Coherence. Don Childs, our pronunciation coach & Merri. A delegate just created a great Spanish sentence on the second day. Congratulations! The Super Thinking system works by focusing on the learner first… the data second. The system “grows the learner” rather than just expands the information. The explosion of data we must all process everyday means there is too much information to process already. Let’s view this learning in terms of plumbing to outline what “Growing the Learner” means. If you have 4.5 inches of information flowing through a 4 inch learning pipe, the solution is not to add another inch of information. The answer is to first create a six inch pipe and then an even larger pipe…a never ending expansion of abilities! You learn how to evoke the power of the senses thus super-charging memory. Ever hear a song from twenty, thirty or forty years past and in a snap know all the words, the tune and remember with who and where your heard it decades ago? Learn how to use ten cycle music to gain almost super human thinking powers. Dr. Lozanov was totally committed to learning without stress, to enjoy the thrill of relaxed, leisurely learning. These are just two, whole learning, super-thinking tactics you gain at this course. What is your desire? Do you want to speak Spanish, French, German, Chinese or any language? Would you like to golf better or accomplish more in school? Would you like to easily, quickly zip through projects, chores, reports? Merri’s “Super Thinking” course can help you learn any subject two-to-five times faster, in exciting and innovative ways. The techniques you gain will help unlock the quantum potential we all possess. This evolutionary program shows how certain types of music can enhance learning and how even altered nutrition can make you a startling 25 percent smarter, how subliminal messages can increase your energy and thinking process, plus much, much more. Merri’s system follows and builds upon what was taught in the Superlearning, the Mozart Effect and Superlearning 2000 books plus includes techniques and strategies that she has gained in her 42 years of global travel and study with educational masters around the world. This is a course that shows you how to increase your mental power to better succeed in the 21st century when we can otherwise be overwhelmed by information. The system you gain is built from old and new sources ranging from yoga to contemporary Russian science, and ultimate zone training already used by many Olympic champions. “Super Thinking plus Spanish” presents new ways to use music to supercharge your mind. The knowledge you gain about smart food and super nutrition allows you to enhance productivity and creativity. The tactics you gain enhance your ability to absorb… retain and recall information. Once these concepts of enhancing your mental powers with music are understood, you will know how to create your own program and build new skills at work in study and play. Second you gain seventeen, easy to use learning techniques that can help you gain any romantic language in much less time than traditional learning techniques. Rick Brown will teach next in Toronto. Spiro Michas teaching in Motevideo. Fluency in a language is considered to come when you know 1,200 words. To prove that it is possible to gain this and much more, let me share just one of the 17 tactics Merri taught me that gives you thousands of Spanish words in less than three minutes. All words in Spanish and English that end in ION are almost identical, just pronounced differently. For example action is accion, education educacion, manipulation, manipulacion, etc. Now you already literally know hundreds of Spanish nouns. This is just one of seventeen Spanish lessons you gain. The next lesson teaches you how to pronounce each of these nouns. Then you learn in a third lesson almost as many verbs, almost as quickly. Third, you learn how to avoid conjugating verbs by sticking with the infinitive (far easier than it sounds). This simple lesson leaves you sounding like a Spanish professor (believe me I know as I use this tactic every day when in Ecuador). There are many other lessons. For example lesson five shows how to sound infinitely polite and yet get almost anything you want in Spanish. Lesson six gives you the valuable connectors and the seventh lesson triples your Spanish capacity with yesterday, now and tomorrow. By the end of the three day course you will feel quite comfortable speaking Spanish without stress! The Super Spanish helps you start speaking and understanding Spanish right away. This can help you speak Spanish faster and make your traditional Spanish course easier and more effective. Four important points in the article are shown in excerpts below with my comments to show what has been wrong with traditional Spanish courses and why the Super Thinking tactic is perfect for this program. The article says: WASHINGTON, D.C. — Many Americans don’t learn a second or a third language from birth, let alone a language that the CIA or U.S. Foreign Service might want. The situation has forced U.S. government agencies to learn how to cultivate the most talented second-language speakers from among college students with little to no other-language expertise. “In U.S. education, we don’t develop early bilinguals,” said Catherine Doughty, a language expert at the University of Maryland. Doughty spoke as part of a panel on Feb. 19 during the American Association for the Advancement of Science (AAAS) conference in Washington, D.C. Finding the best. Government agencies aren’t alone in trying to recruit multilingual speakers; U.S. corporations covet such skills for doing business in the era of globalization. The article explained how Doughty and her colleagues used tests to train up cognitive processes related to language learning, such as the ability to hold information in the brain while using it for learning. The tests sought to predict those who can succeed despite everything stacked against them. The article reviewed changes in the brain. Lee Osterhout is a cognitive neuroscientist at the University of Washington in Seattle. His lab used electrodes placed on the scalp to measure the electrical activity created by the signals of brain cells. That allowed the researchers to see differences in the brain patterns among language learners and fluent speakers. They found some surprising results. The article pointed out: Repeated studies of French language students showed that their brains responded differently to real French words compared with fake words after just two weeks of classes, even if the students themselves could not tell such words apart. “From knowing nothing to a little bit, [there are] huge changes in the brain,” Osterhout pointed out.”[From] knowing a little to knowing a lot, [it is] much more subtle.” Another surprise came from studies of Spanish-speaking immigrants, because neither age nor language proficiency seemed to predict how quickly the immigrants picked up English. Instead, the fastest learners showed both the greatest motivation to learn and a willingness to use English at every opportunity despite being bad at it (at first). MY COMMENT: This is the other reason why Super Thinking plus Spanish works. 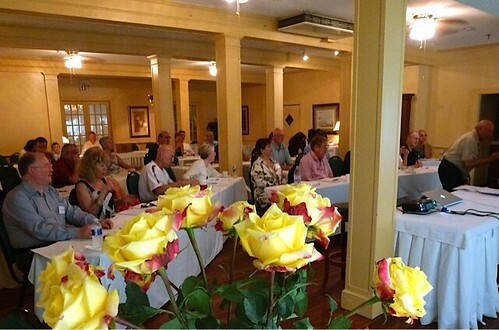 This three day course gets the delegates speaking and thinking Spanish all the time so they can use and/or think Spanish every day… and communicating even from the beginning. In this way the education grows even when Spanish is not being spoken. The Super Thinking course first integrates the brain. Students learn better with relaxed concentration. Then the course teaches them 17 simple lessons so they know 4005 words in Spanish and can use them to create sentences. In this way, you can communicate in just three days. Travel, accommodations and food are not included. 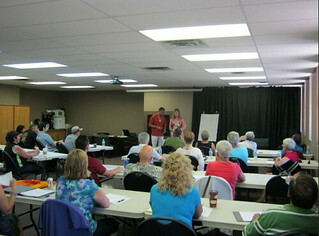 Shawn and Suzanne Bandick teaching Super Spanish together in Vernon BC. Yet your Spanish will just be one result from learning how to think better! You will be able to use your new learning powers in amazing ways. 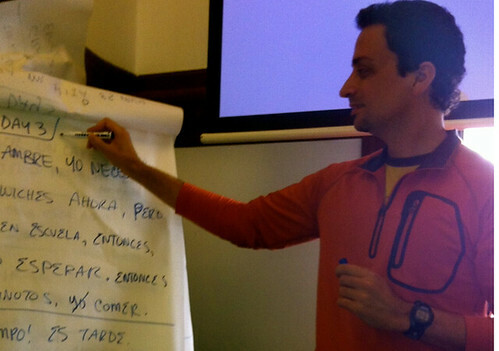 Here are what delegates wrote about a Super Thinking + Spanish seminar. Another wrote: Hi Gary & Merri – First, Merri, thanks for the great home made chili dinner. It was some of the best I have ever tasted. Also, thanks for the Spanish course. Merri’s technique is truly a breakthrough in learning. I believe I learned more Spanish in four days than I learned in four weeks in a previously attended Costa Rica language school. The Costa Rica school taught a very limited number of memorized words and phrases. Ted. Another delegate at a Super thinking plus Spanish seminar wrote: Merri’s approach exposed us to a broad variety of works and the technique needed to expand the language. Again, Thanks for the experience. One attendee wrote: Thank you very much Gary! And I just wanted to say thank you and Merri so much for everything during the seminar. You guys are indeed a shining example of having a business that truly serves others. And thanks for the extra time spent and good things taught to me personally. I have begun to implement them already and will continue to apply them. And you might be interested that waiting for my flight home I ended up sitting next to a woman from Quito and could understand some of what she said in a cell phone conversation. We talked a little and she said that I should visit Ecuador! Thank you again for your real graciousness and acceptance! I will also write to Merri and thank her as well. And I wish that I could do something for you two! Another wrote: Thank you! We always look forward to spending time and learning about so many fascinating things. Like Minded people and Vivaldi! What could be better? You and Merri are very special to us! Another sent this note: Hello Merri, Thank you for the wonderful workshop on Super Learning + Spanish! I really enjoyed the workshop and getting to know you and Gary. I am definitely going to take more of the courses that you and Gary are teaching. I can see several ways to apply what I learned in the classes I teach. Since I returned home, I have purchased some of the CDs of Baroque music and thought about which specific pieces will work best in different parts of my classes. I am also reading Perfect Health by Deepak Chopra. I found your discussion of this book to be very helpful in showing how to balance one’s life. I have adjusted my daily schedule, and I can already notice a difference in my productivity. Thank you for sending the file of the 4005 Spanish words. This will be very helpful in my daily review of Spanish. Another: Gary and Merri, It certainly was an interesting and intriguing four days for me. I enjoyed the Spanish but even more so, all the tentacles that extended during those four days that went into so many different directions. I grew up in a very SQUARE box with loving and intelligent parents but my world remained within this box, unable to see beyond those walls, as I was never encouraged to “think outside the box”.. Mike has been opening doors and leading me outside this box but because of my upbringing I have not completely embraced or understood what was beyond those doors he opened for me. As I have gotten older I have become more open to the world outside those doors yet those old tapes continue to play and I have not been able to completely release myself and experience all that can be. Another shared this: Listening to the two of you during our time together has suddenly got me to thinking, and although some of the ideas still seem foreign to me, I am at a point in my life now where I can say, “anything is possible” and I am now willing to embrace and allow myself to experience the world of possibility and let it take me in directions I may have in the past resisted. I really don’t know where all this is going to lead me but I am now willing to explore, develop and grow. I found all the information you offered on healing, realigning the body, nutrition, etc. so fascinating, have you ever thought about doing a course on just that? With the aging population and the health care issues I think it would be not only an interesting course but one that would be very beneficial to so many. I, personally, would love to learn more about what you talked about and plan on purchasing the book, “Body Renewal, the Lost Art of Self Healing” for my Kindle. Thank you again for a wonderful four days!! Another: Hola Merri Y Gary, I was thinking about you this Remembrance Day, and I went to check emails and there you are! We had fun at Disney World on Monday and sat beside several Personnes Espaniol. We could understand them however I couldn’t make sentences quickly, but could say one or two word phrases that were understood. We arrived home at 3am yesterday – the airlines were very late in Denver due to a crew incident. I found myself making up sentences all day yesterday as I was running errands. John knows more vocabulary than I at this point as he has studied Spanish previously. Today I will begin to review the lessons and construct sentences to send to you and the group – as you suggested below. Es en BUENO sugestion!!! I also received the email Merri sent with the 4005 words and started to scroll through those yesterday. Another: Thank YOU Merri, Gary, Don and Richard for everything you have done to create and bring this wonderful experience to all of us. 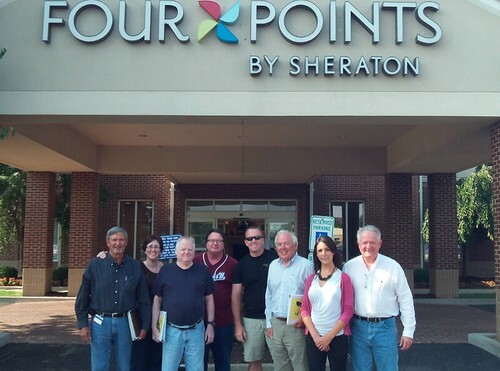 It takes a well sychronized team of people to put on an effective, change producing seminar! I have given many seminars and enjoyed the experience immensely. The outcome is even better! Estoy une infantil de Super Thinking and Spanish, y es possible aprender en tiempo. Another: Hello Gary, Muchas gracias para la informacion! I had a wonderful time at the Super Learning + Spanish weekend!… excelente! I was impressed with your depth of knowledge on numerous subjects and your ability to speak about them with exceptional recall. Con mucho apriciar, P.S. Yo estoy enteresado en Espanol #2. One delegate even explained how after our course they ended up as the accidental translator: Gary, I have sent Merri a couple of messages, and a story of Mike being able to translate yesterday for a Spanish person who couldn’t understand what a man was trying to tell him! We loved the seminar, and are excited to put the super learning to practice, and especially the great company of like-minded people (especially G & M!) Muchas Gracias! Tiene an excellante dias. Finally another…. communicated entirely in Spanish…. after just our Super Thinking + Spanish seminar: Buenas dias nuestra maestra perfectamente, Merri! Muchas gracias por la lista espanol. Comments from another delegate: I wanted you to know that the Spanish course has proven incredibly helpful. Dealing with internet service providers and shopping for appliances, etc., normally would have required me hiring a translator to follow me around. While it may not be pretty or 100% grammatically correct, I am understood. Thank you! Saludos! Whether your goal is to reduce your cost of living… increase your income… enhance the return on your investments or all, being able to speak Spanish… enhances your opportunity and does the world good. See an example from a Super Thinking + Spanish delegate who lost 55 pounds after taking our course. 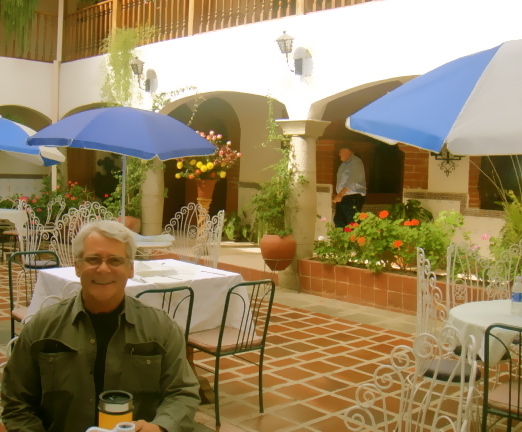 See how Jim Reed used our Super Thinking + Spanish course to enhance his health and wealth as well as speak Spanish. The ability to speak Spanish… even if you never leave the US is valuable in this day and age. Spanish opens access to a good labor force and helps you communicate with a useful part of the American population. Beyond Spanish… knowledge is bliss. Ignorance is dangerous in these times of rapid change. The more knowledge we can absorb, retain and recall… the better our chances of success… higher income… less stress…. better health and more fulfillment. So it’s little wonder that the attendance at our Super Thinking + Spanish and Quantum Wealth courses have grown dramatically. Our changing world not only reinforces the need to speak Spanish but also requires us to be smarter. Ernest Neuman and pronunciation coach teaching in Vancouver. Super Thinking plus Spanish courses are among the few I know that not only share valuable information but help the delegates become smarter so they absorb, retain and recall the education more effectively. The course does this through the power of music… a power we all already have within. Let’s see some examples. Meet Jim Reed. Jim is a retired airline pilot who moved to Ecuador a year ago and lived in our Casa Blanca condos for a year. He has become an Ecuador resident and built a house. I interviewed him on one of our trips to Cotacachi. Like so many others I have spoken with who have attended our Super Thinking + Spanish course… he claims to be much happier… more relaxed and has become healthier, shedding medication and weight. Jim lost 55 pounds in the last year and, as reported by so many… without trying… without eating less… without any feeling of deprivation. One fact that many who enjoyed wonderful positive changes when they have attended our Super Thinking course is they learned to use music in a very specific way to reach the quantum states of their intellect. Gary & Merri, Mike and I have so enjoyed attending your seminars. I look at is as a place to gain “tools for life” as well as receiving a plethera of information on the topics at hand. (So far we attended Spanish and investing.) I get equally as much value out of the tools, and mindset in viewing the information that can be applied to life in general as well as the topic at hand. So thanks for enjoying what you do… it definitely shows up in real world application. At each seminar we meet many interesting and unique folk – I think the audience you draw can think out of the box at least a little bit! So again thanks for gathering such a wonderful array of resources for us. 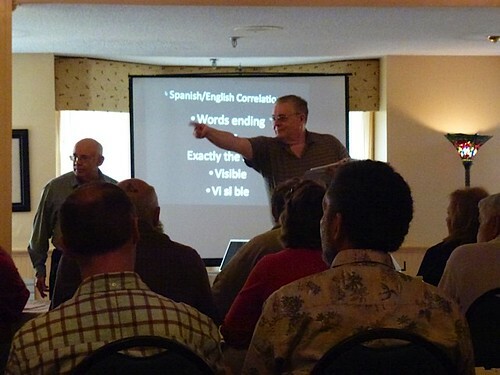 Another emailed: Dear Gary and Merrie, We so enjoyed the language class last weekend at Mt Dora! 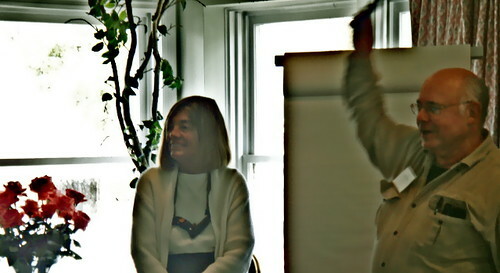 Carolyn came back with your simple, common sense approach and the new tools to start speaking. Most remarkable is that she feels comfortable putting together sentences and ‘communicating.’ Somehow many of us seem to get caught in the trap of thinking we have to say it ‘right,’ and so we don’t even try. It is interesting that we do not see ourselves ‘creating’ communication in our native tongue; each saying it a little different than the other, and yet still all getting the ‘communication’ across the bridge in our own manner. We delighted to know you both better, and greatly admire your passion for life and generosity sharing what you have learned. We are planning to attend the next business seminar you offer. Carolyn is talking about returning for the Fall Spanish Super Thinking class with a girlfriend. We are excited by the many new challenges we have found through your offerings. Another a dentist said: I was so delighted with my experience at the Spanish training. I felt more confident of ability to pronounce Spanish than I ever was of French or German. Funny… I did not think I remembered any French or German but when I cannot remember the Spanish words the German and French popped up. Practicing my pronunciation made my trip home go faster. I never enjoyed pronouncing either of the other two, but this was fun. It is hard to fall asleep at the wheel when you are moving your mouth to speak Spanish. It does work your mouth in a different way. I realized that you have to say each syllable slowly and correctly(until you get it perfectly) and when you do it is impressive. It was amazing to see us all writing such advanced sentences after a few days and so much more enjoyable than having to go through the alphabet to build the words to build the sentences. Another Wrote: Dear Gary, I intended to give it a few days before I wrote to you about my experience in the Spanish + SuperThinking Course. However, I had such dramatic results today, in the physical rather than the cognitive realm, that I had to share this immediately. I started my day with Baroque music. Before I began my Spanish lesson, I went through the Mayan Waves Brain Refresher (Brain Sync). I also played an alpha wave composition while I completed a lesson in the morning. I repeated the process this afternoon. Before my high intensity interval training (HIIT) workout in the evening, I put on a gamma brain wave video from you tube faster reading gamma waves help with exercise. I preformed the “Halo Of Sweat” workout from an online fitness site. Around the world, people complete the workout and posts their scores, striving to meet or beat the personal trainer. Frankly, my reps have rarely come close to the reps of the woman featured in the video nor have I ever beat her. Until today. Not only did I come close to her performance, I surpassed her quite significantly with several exercises. I performed my best in the last exercise, Abs Burn Out. Her scores were 38, 34 and 33 and mine were 60, 40 and 47! 1. My left and right hemispheres are now harmonizing. 2. The meditation and relaxed concentration techniques I learned are coming more easily to me and effective. 3. My focus and concentration are greatly enhanced. Mark Frakes with a Super Spanish class in the St. Louis area.